kingsnake.com photo gallery > Rabbits > Zombor! Description: the baby bunny Zombor. 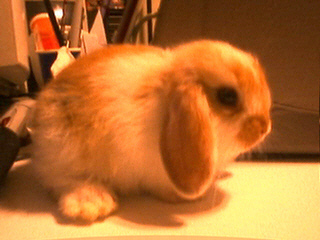 she's a mini lop, or possibly an american fuzzy lop.